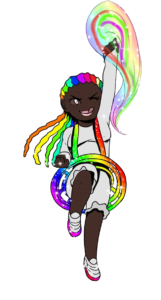 Want a taste of the adventures of these black, queer, magical girls? This section will feature very short snippets of different chapters in the upcoming books. Consider them teases for what’s to come, and a way for you to get a feel for Briana’s writing style.